According to statistics database Statista, 2017 saw an estimated 1.66 billion shoppers purchase goods online, grossing an incredible 2.3 trillion US dollars. This means online shopping is certainly here to stay. Moreover, it’s projected to grow more popular and more prevalent as time goes on. With that in mind, let’s do a deep dive into the evolution of online shopping, discussing the best practices we should all adopt and why. Online shopping has empowered the consumer like never before, which has changed the game for retailers. When online shops first hit the scene, they offered nothing more than an alternate way to purchase. But over time, both buyers and sellers grew savvy with this new methodology, and the relationship dynamic began to change. Sellers soon realized that price comparisons were infinitely easier to conduct online, and so they needed to have the best deal in order to compete in the marketplace. It’s no secret that online shopping is the most convenient way to shop. How else can you visit five different stores in the course of one minute, all while remaining seated? The entire mercantile world is at your disposal wherever you are and whenever you like, as long as you have an internet connection. You can shop around. It only takes you a matter of seconds to do your due diligence on finding the best price for your item. You browse, you buy, then, in a matter of days (or in some cases, hours), the item is delivered to your doorstep. The marketplace has evolved in a major way. Does this wonderful convenience come with any trade-offs? Yes, it does: the inconvenience of not conducting the business in person and the dangers of your payment info falling into the wrong hands. Because you’re not there in person, you cannot try on the clothing or otherwise sample the wares before you buy. You also need to cover shipping costs, though some are waived and certain retailers cover all shipping in a one-time annual fee. Another peril of ordering online is a lost or late package. And if you are not happy with the item when it arrives, you then have to go through the hassle of returning it by mail. Those inconveniences are nothing, however, compared to the damage that could be caused if someone hacks into your private info. Names, addresses, credit card numbers — all the info a cybercriminal needs to go on a shopping spree with your money or, even worse, steal your identity. I was recently involved in a data breach and only found out when a package of goods I didn’t order arrived at my address by accident. Someone had stolen our credit card and was trying to buy items from Walmart, but they accidentally shipped the items to us. Depending on your priorities, choose the deal that’s best for you. Perhaps you don’t need it right away, so you can pay the lower price for the longer shipping time. Or maybe it’s for a party tomorrow night, and you’ll pay top dollar to have it brought to you immediately. Ensure you get the best deals by following the section below. 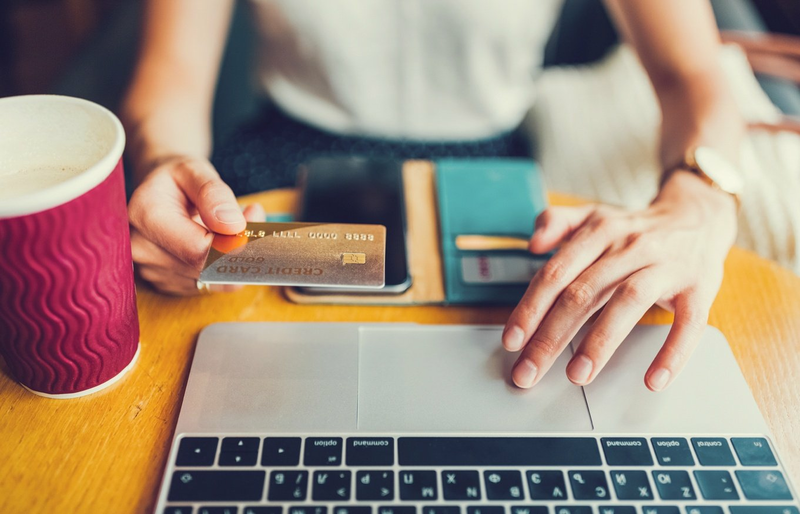 Protect your personal data when shopping online by following our 10 Tips for safe online shopping at the end of this article. The browser extension Avast SafePrice takes the convenience of online shopping and extends it for you by aggregating the price comparisons so you don’t have to. Whether you’re purchasing goods, okbooking hotel rooms, or arranging a trip, SafePrice compares over 100,000 verified ecommerce sites and displays the best deal for you within seconds. If any coupons relevant to what you’re purchasing are available, SafePrice will present those to you so you can save extra money on your purchase. Look for “https” in the URL and a padlock icon in the address bar. These signal that the site is designed to be secure. Shop at reputable sites, and make sure the one you’re shopping on isn’t a copycat. Check the spelling of the URL. Look at the site’s “contact us” information. There should always be a company name, address, and phone number to call. If the prices look too good to be true, they probably are. Stay aware. Don’t click on pop-up ads. They often redirect you and can be malicious, even when they show up on legitimate sites. We recommend that you do not click them. Never give out your personal information online, such as your social security number. Check the site’s return policy and shipping costs. Always purchase using a credit card with fraud protection. Most credit cards allow you to report a purchase as fraudulent within 30 days of seeing it on your statement. Or, consider using PayPal. For high-end luxury items, always purchase from the actual retailer, not a third party, to ensure you receive the authentic goods. There’s a high tide of fraudulence in the ecommerce sea. When setting up accounts with online retailers, always use strong, secure password, and make them different for each account. Follow these tips to strengthen your passwords, and never do any online banking over public Wi-Fi. Beware of emails asking you to click a link. That’s phishing at its most dangerous. If it doesn’t seem legit, don’t click. If they’re malicious, they will try to steal info from you like login credentials or credit card numbers. Or they may redirect you to an imitation site where you’re tricked into “resetting your password” or some other data info to “correct” a bogus account error. If you’re ever troubled by this kind of situation, simply open another window and go to the actual website of the account in question, and use the “Contact Us” portal to ask if they sent you the email. Online shopping is a hallmark of the 21st century. It’s the beginning of a new kind of global marketplace, and it should be celebrated. At the same time, we will paraphrase a famous superhero quote… “With great convenience comes great responsibility.” It’s on each one of us to shop smartly online and to protect ourselves with both knowledge and cybersecurity. With our digital lives properly defended, we can relax and enjoy the convenience of filling our shopping carts the new-fashioned way — wherever, whenever, however we please.